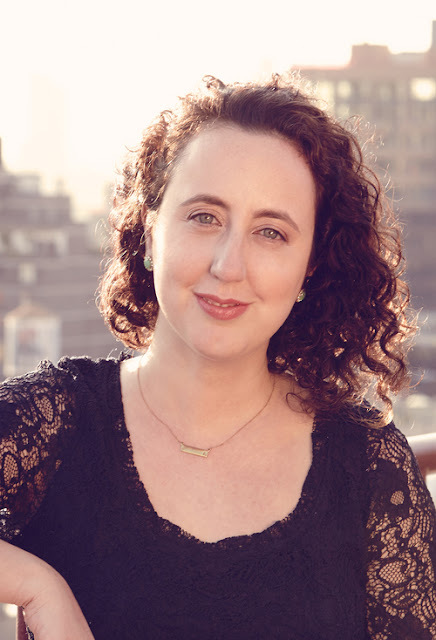 As part of the Two Summers blog tour, I'm pleased to welcome author, Aimee Friedman onto the blog for an interview. Hi Aimee, Can you tell us a little bit about yourself? Sure! I was born and raised in New York City, where I still live today. I love the fast pace and spark of the city—the people, the restaurants, the shops. I’m not a very “outdoorsy” person; I tried camping once and… it didn’t go well. Growing up, my favorite thing to do was read — and write. Those are still essentially my favorite activities. I feel very fortunate that I get to do them both as part of my career as a writer and a book editor. Why did you decide to write Two Summers? When I was nineteen, I spent a magical summer living in the South of France. It was a transformative experience, and I always wanted to write about that beautiful place. I’ve also long been fascinated by the idea of parallel worlds—that one small decision can have lots of different outcomes (like the movie “Sliding Doors”). Finally, I love summer, and I hoped to write a big, juicy book you could bring to the park or the beach. And aren’t two summers better than one? All these various ideas were bubbling in me for a while, and finally they came together to form Two Summers! Can you describe Two Summers in one sentence? When one girl makes a seemingly small decision, her summer splits into two parallel possibilities and we get to follow her on each one, as she travels, meets cute boys, falls in love, and discovers shocking secrets that will change her forever! It was a lot of fun to write Jacques, because he was based on someone I knew in France, and the scenes of him and Summer getting to know each other and flirting are the kinds of scenes I always love to read—and write. My dream is to go to Bora Bora and stay in one of those luxurious bungalows over the water. What’s your favourite summer activity? Picnicking? Barbecuing? I’m happiest sitting with friends on a blanket in the park, with snacks to share and good books to read. And, of course, getting ice cream cones after. How do you transition from Editor to Author mode? 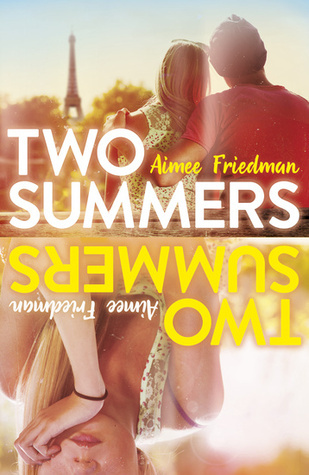 I like to joke that the story behind “Two Summers” is “Two Aimees”: editor Aimee by day, author Aimee by night! It’s often difficult for me to turn off my “editor brain” when I’m writing; that is to say, I tend to self-edit as I go, which is not very conducive to creativity. Getting words down on paper, even if they’re not the “right” words, is what a first draft is all about, and it’s hard to do that when you’re constantly wondering how you can say it better. It’s helpful for me to put distance between my editing life and my writing life, whether it’s literally going somewhere else to write-- to get a change of scenery--or just taking some time to relax and clear my head before jumping into my story. It’s important to have a buffer. When you write, do you plan it all out or go in without a clear idea of where it’s going to end up? I like to have an outline, though I always find that my characters and stories take on lives of their own midway through. I think it’s important to have a general sense of the plot beats of your story, but to also be open to the fact that things might take a surprising turn on their own, and that’s okay. How do you fit writing into your busy schedule? I usually write on weekends or evenings, but evenings are tough because I’m pretty exhausted from work! Sundays are usually good writing days. I’ll go to a café, put in my headphones, and drink a lot of iced coffee. Something about actually having limited time helps me be more productive. Do you relate to any of the characters in Two Summers? I relate to Summer because she, like me, has trouble making decisions both big and small. (I’m also always running late). When I was Summer’s age, I was also on the shy side, especially around boys I liked. I drew on many of those experiences to write Summer’s story. Reading. Visiting bookstores, and libraries. Traveling. My friends. My family. Movies. Experiences that involve heightened emotion—joy, sadness, love, hate, discovery. Inspiration is everywhere. What has been your favourite summer ever? Probably the summer I lived in the South of France. I came to Aix-en-Provence as part of a program for college students. I took art history and French classes at the local university, and I lived with a wonderful French family who fed me delicious food and humored me as I tried to speak the language. On weekends I would travel around with my classmates and see the Riviera and countryside. Once I went out dancing in St. Tropez and we stayed out so late that we went to the beach to see the sunrise. I’ll never forget it! Have you ever had a life-changing summer experience? The summer I worked as an intern at Scholastic, where I still work today as an executive editor, was life-changing for sure. I realized how much I loved working on children’s books. I met amazing people. And I read Harry Potter for the first time—that alone is life-changing! Why Paris, for Summer’s first adventure? Was it the natural location given Ned’s profession? Or did you decide Ned’s profession first and then decide on Paris? I decided on France first—because of my connection to it-- and then realized that having Summer’s father be a painter would be a natural fit for the location. Why did you have Summer have a passion for photography rather than painting/sketching like her father? I wanted her to discover her artistic side, but for it to be separate from what her father does. It’s all about Summer establishing her own identity. And I also love the immediacy of photography; that would naturally appeal to Summer, who is a bit impatient. The way that the book is interwoven with the two possibilities is interesting. Can you explain why you decided to format the story that way? Thank you! Well as I said, I’ve been obsessed with the idea of parallel universes for a while. I loved the series Choose Your Own Adventure as a kid. I thought it would be cool to present two possibilities and have them occur at the same time—like two books in one! It was definitely a challenge to write. I had to create a fictional calendar to keep track of what happens when, and where. But in the end I think it was worth it! Do you have any favourite books about summer romances? So many! I love The Summer I Turned Pretty series by Jenny Han. Something Borrowed by Emily Giffin is a fave, as is anything by Elin Hilderbrand. Who do you prefer: Jacques or Hugh? But right before she's about to board, her phone rings. Should she answer it? Either way, it's going to be a summer Summer will never forget.